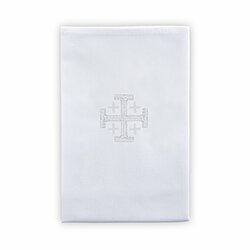 The exclusive design on these embroidered Jerusalem cross linens is a customer favorite. Available in an easy-care 65% polyester and 35% cotton blend or 100% linen, these high-quality Mass linens for your church are at an unbeatable value price! 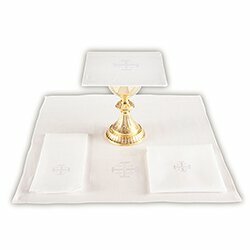 Sold in quantities of 4 per package.